A father-son operation spearheaded by a Philly man who spent 30yrs working for Verizon, this "casual fine dining" establishment offers eats including authentic meatball sliders, the Pizza Steak sandwich, rib-eye and c-f steaks, and an eponymous pizza with naturally cased dry-cured Margherita pepperoni ("The King of Pepperonis"! ), sausage, olives, 'shrooms, and jalapenos. 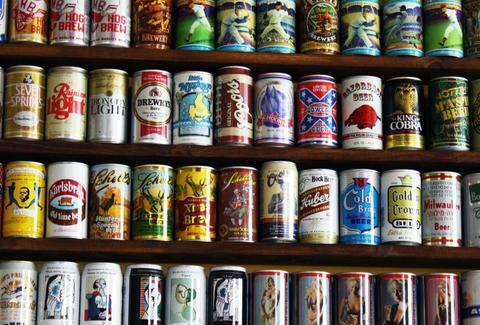 The highlight might actually be a thousands-strong beer can collection amassed by the dad during his military days, containing treasures from Iron City's unnervingly fruity Hop-n-Gator, to a classic MASH 4077th (hopefully, people who nursed those were called "Klingers").